The store sign says, “End of the Year Blow-out Sale!” Tempted? Of course you are. Especially if that store is one you frequent often. So, you walk in, glance around, and immediately head to the section toting 50-70% savings. What do you do when you spot that bargain? Do you jump on it, count your luck and dive back into your shopping? I used to, but now I stop and ask myself a couple of questions before I start congratulating myself on my "savings." After years of bargain hunting, I began to have enough clutter to satisfy the worst case of hoarding. I had too much stuff. Was the savings really worth it? Neither my shelves nor my wallet thought so. Now I have a strict rule: If I wouldn't pay full price for it, I won’t buy it on sale—no matter how tempting it is. Otherwise, are you really saving? If I sell you something you didn't need anyway, you didn't really save any money. If I was going to buy the item at full price, but can get it cheaper, I saved money. If I wasn’t going to buy the item in the first place but just bought it to get the deal, I just spent money I didn’t need to. That’s not really a savings. You may save 90% on a $2000 couch, but if you don’t have anywhere to put it, what did you gain? Nothing. What did you lose? Money, space, and time. If you take the money you saved as a license to spend it somewhere else, you haven't really saved anything either. Take that money that you saved and put it into investments or your emergency fund. Put your savings to work for you. We can all get caught up in the appeal of getting something for far less than it's "worth," but it's important to remember that "worth" is a very subjective term. Things have different values to different people and something that might be an asset to someone else might be a liability to you. 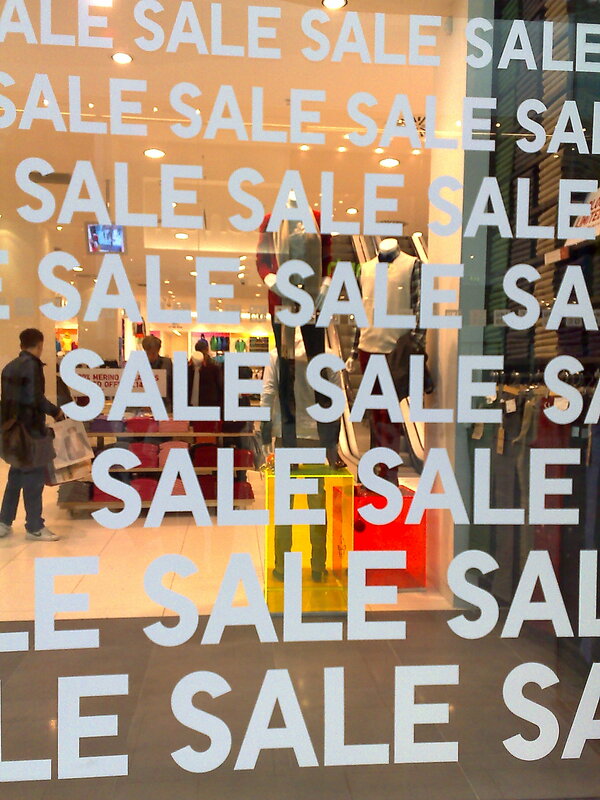 Make sure you really want your purchase before you let a sale influence your decision. That is a great way to look at it Jessica. I think everyone needs to let go every once in a while and hit the shops, but buying something just because it is on sale doesn't make great sense unless you need it. @Money Reasons: Thank you for the compliment. :) I have a friend who incessantly says, "Just buy it!" I love her to death, but she's not allowed to go shopping with me anymore, and I don't go with her unless I leave my wallet at home. This is a great point. When Im with people, they often say "but it's on sale" well, yes it may be on sale, but it's still a waste of money if you weren't going to buy it in the first place. For me, I rarely buy anything unless there is a need for it. Hecks, I'm still working on our Cash Flow issue without hurting our Daily Residual Income/(Expense) goals, while also working towards our retirement numbers. Question? Why don't you determine what you need before you even go to the store? That way, you don't spend on junk you don't need. Ronald, making a list and sticking to it can quickly become two different things (for me, anyway). You're absolutely right, though. 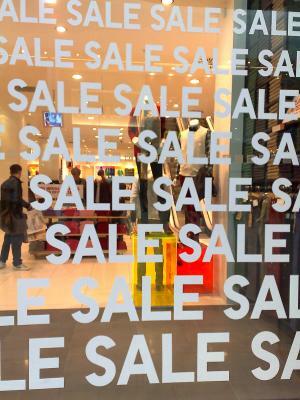 If it's not on your list, just because it's on sale doesn't mean you need it. Thanks for stopping by with the great comment. I look forward to more of your input. I couldn't agree with ya more here Jessica! Another thing that sort of gets me goin' is coupons. When I flip through a coupon book, it seems that I never see any coupons on things I am already buying. It's almost like to take advantage of the "savings," I would just have to spend more money anyway! You are absolutely right about the coupons. The only thing that ever seems to be on my list at the same time they have a coupon for it is toothpaste. You must not be as cheap as me...I can't use your rule about avoiding items I wouldn't buy at regular price because I think almost ALL regular prices are too high! ;) So, that means I end up waiting until I can get the item for less. I always ask the question, "Did I need it yesterday?" If the answer is No (and it usually is), then I can't justify the purchase. @ Lena: I like your "Did I need it yesterday?" tactic!